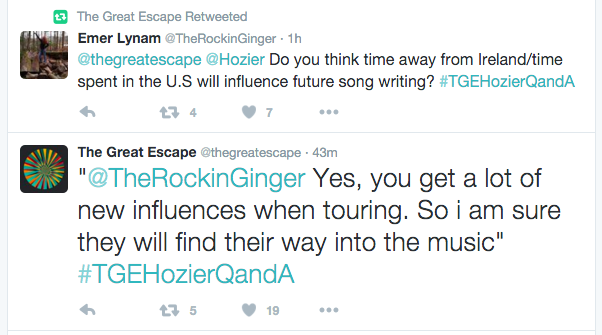 Today, The Great Escape Festival highlighted Hozier as one of their successful previous artists. 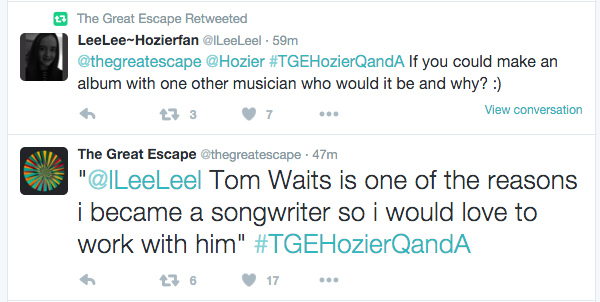 To commemorate his previous appearance, TGE put Hozier in the spotlight with an interview and a live question and answer session on Twitter. 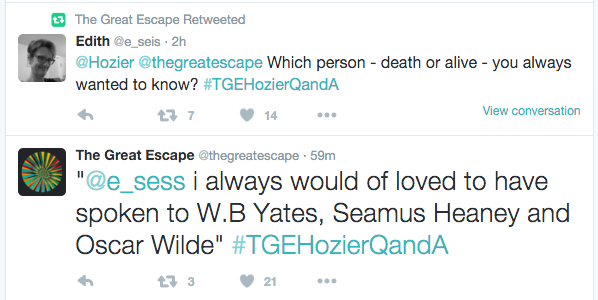 Hozier performed at The Great Escape Festival in Brighton, England on May 8, 2014. 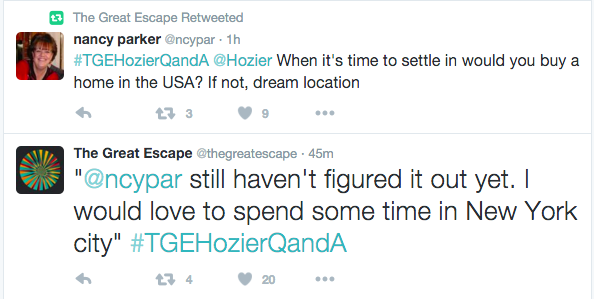 The Great Escape Festival was the first performance with Alana Henderson and most of Hozier’s crew, who would stay on until the end of the tour almost two years later. 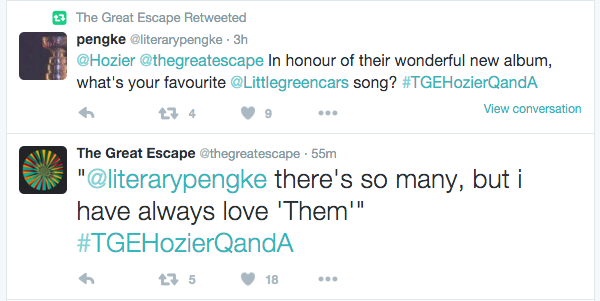 Other familiar faces in The Great Escape’s line-up that year included two of Hozier’s support acts, James Bay and George Ezra, and his fellow countryman Gavin James. While at The Great Escape Festival, Hozier did a live session for Gigwise where he recorded this fantastic version of Cherry Wine. We think Cookie Monster is an excellent match for a musician with a sweet-tooth. After all, Cookie Monster is known for his musical prowess. Sing along! Hozier’s Guitars wants to hear from you! 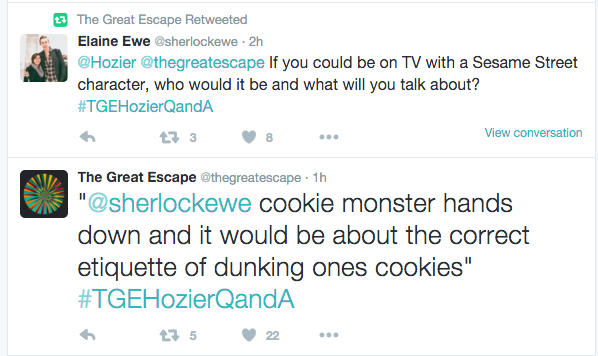 Tagged Q&A, The Great Escape, Twitter. Bookmark the permalink.